Spring is in the air, so stop what you are doing, let the sun hit your face, inhale that invigorating spring air and smell the fresh new season. Let’s welcome spring with open arms and create some refreshing cards for our users to send out to their dear ones. Here are five tips to help you create modern ecards for the season and infuse freshness into your designs just as spring comes and breathes new life into everything around! Design elements: Spring brings with it a multitude of elements which include rain, rainbows, sunshine, birds, rabbits, butterflies and beautiful flowers such as daffodils, lilies, daisies, tulips, orchids and sweet smelling peonies. It’s time to go fishing with friends, fly kites, go for picnics with family, walk barefoot in the grass, pick wild flowers, watch them bloom beside the lake, beneath the trees, fluttering in the breeze and tossing their heads in sprightly dance. It’s time to bake pies, spring clean, grill outdoors, play outdoor games, watch the sun rise, read under a tree or just sit back and rejoice in the sweet scents of the season. These are just some of the activities people look forward to this season. You can display these in your cards and give users an opportunity to celebrate this wonderful time of the year. Colors: During this season, life awakens in everything. The snow melts away and the ground is slowly covered by colorful flowers, birds return from warmer climates and butterflies add to the beauty of spring. Let your imagination run wild and use every possible bright, fun and playful color on your palette. Avoid dark, pastel and plain shades and use them only for the text. Experiment with your typography and see how you can have a different combination of text styles, colors and vibrant backgrounds. As the bright colors blossom and the butterflies flutter, weave the magic of spring and compel users to send out your cards! Emotions: It’s time again for earth to celebrate the return of this season. Users are looking to reconnect with their family and friends and send them good wishes for the season. Happy cards displaying heartfelt emotions and good wishes is a must. During this period, all life crawls out of hibernation, little buds blossom and our hearts open. Users want to bless their loved ones, send hugs to their little ones, send good hope, give thanks and keep on loving. Ensure your cards capture these varied emotions and delight the users. Don’t forget to create some scenic, floral ecards for users who would want to send across virtual flowers to dear ones in far off lands. There are plenty of sub-categories to experiment with and we are looking to see you explore all of them. Music: Music plays an essential role in the look and feel of the card, especially if the card is a flash or animated one. The sweet sound of the birds chirping, relaxed and playful tunes are perfect for springtime cards. Choose music which captures the ‘heart of spring’! Overall presentation: Spring is a time of renewal. What better opportunity would you Studioators get to get your creative hats on? Surprise our audience with your skill and ability to create something different and fun. Sprinkle love and joy in your cards and weave the magic of spring which will cast an everlasting spell on the users. By combining the tips stated above, we are sure you will totally surprise us with some beautiful cards. 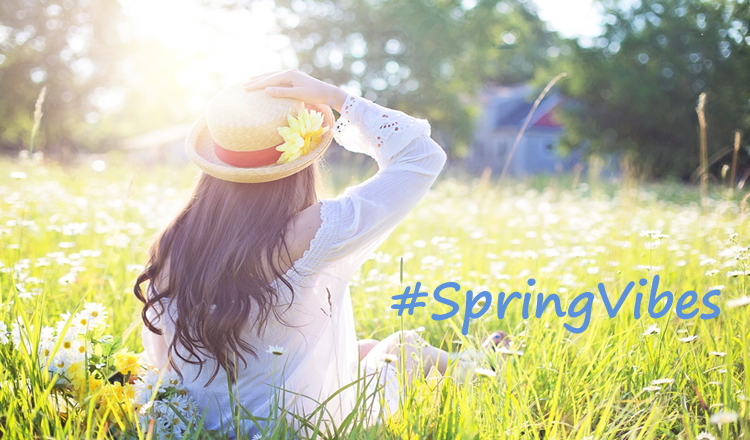 All that is left to say is this – laugh, love, sing, be happy, count your blessings, take risks and THINK SPRING!